I’m sure you’ve all heard of the famous cleansing water from Bioderma but did you know that they also have a great range of other targeted skincare too? 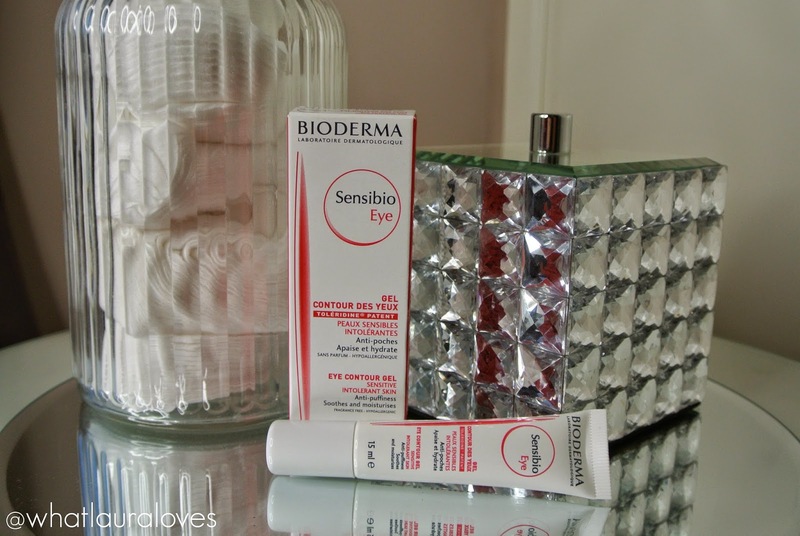 I have been trying out the Bioderma Sensibio Eye Contour Gel* over the last couple of months and today I wanted to share my thoughts with you. While I do not generally have sensitive skin on my face, I do find that my eye area can be particularly sensitive. Many people experience the same thing as the skin around the eyes is very delicate. Since this eye product is from Bioderma’s range for sensitive skin, I was very interested to see how it would compare to the other eye cream I use, Kiehls Creamy Eye Treatment with Avocado, which isn’t designed specifically for sensitive skin. The Sensibio Eye Contour Gel uses selected active ingredients to target and treat all signs of ageing, dryness and sensitivity. These ingredients include caffeine which works as a decongestant to reduce puffiness and hyaluronic acid which helps to smooth fine lines and wrinkles by attracting and binding moisture to the skin. It also contains reticulated powder to reflect light which should be ideal for those with dark under eye circles, as well as moisturising active ingredients that help to soothe the skin around the eyes and alleviate discomfort and irritation. I have used quite a number of different eye products in the past but none with the same texture as this product. The ones I have tried have either been thick or light creams whereas this one has a gel like texture. It has a smooth, slippy texture, not sticky or tacky at all which enables it to be easily applied to the eye area. It doesn’t have much of a scent either which makes it perfect for those with sensitive eyes and skin. This is my favourite part of this product as I find that if I put something too strongly scented around my eyes then it can really irritate them. I also find that with some eye creams, if I apply them before going to the gym, if I work up a sweat the residue left from the cream can sort of sweat and drip into my eyes which can really sting whereas I don’t get that with this eye gel. Only a small amount of product is needed to be applied to each eye thanks to the light, slippy texture and the squeezy tube that it comes in enables you to squeeze out just the right amount of product. I hate wasting skin care and make up products so good packaging is essential for me. 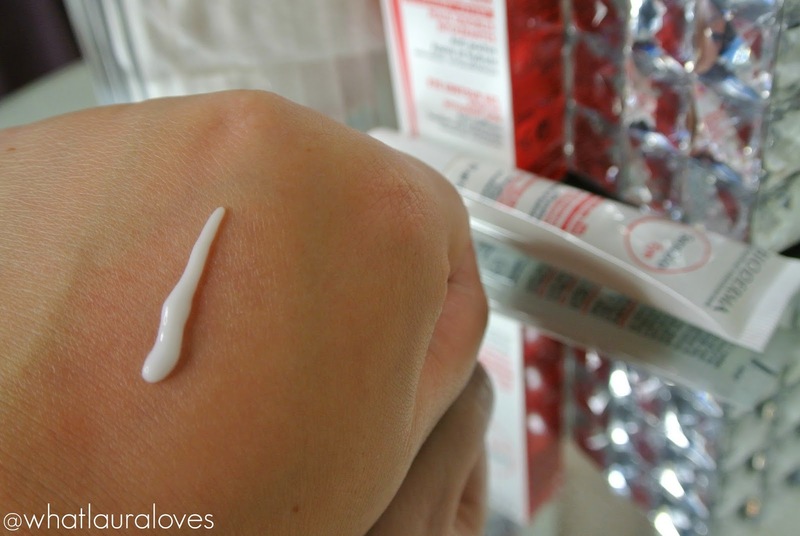 I found that I could comfortably apply the Bioderma Sensibio Eye Contour Gel using my ring fingers as they apply the least amount of pressure and I like the way that it feels when I am putting it onto my skin as it doesn’t drag or pull the skin around my eyes. The gel feels quite cooling on the skin which makes it a great product to use as part of my morning skincare routine because I find that it helps to soothe my eyes if they’re tired and puffy. The gel is incredibly light weight which I found to be great for morning use as it absorbs quite quickly however this also meant that it was too lightweight for evening use, for my liking. I prefer to use something much more hydrating and moisturising around my eyes at night and while this wasn’t nourishing enough for me to use then, I would certainly use it each morning. I didn’t find that it made a big difference to the fine lines or darkness under my eyes but it did create a smooth and lightly moisturised surface on which to apply my make up. I found that this helped to stop my concealer from creasing under my eyes which gives this eye cream a definite thumbs up from me! You can buy the Bioderma Sensibio Eye Contour Gel from Escentual, Zest Essentials and John Bell and Croyden. What is your favourite eye cream? Previous Post Batiste Rescue Monday!